The Portuguese, 55, won the League Cup and the Europa League at Old Trafford. But United are sixth in the Premier League, 19 points behind leaders Liverpool, who beat them 3-1 on Sunday. “A caretaker-manager will be appointed until the end of the season while the club conducts a thorough recruitment process for a new, full-time manager,” United said in a statement. United’s haul of 26 points after their first 17 Premier League games, is their worst tally in the top flight at this stage since 1990-91. They are 11 points off the top four and closer to the relegation zone than the top of the table. Mourinho’s sacking comes after a fall-out with £89m record signing Paul Pogba, who was an unused substitute for the defeat at Anfield on Sunday. And it continues his run of never completing four consecutive seasons in charge of a club. Only once has he made it into a fourth campaign, but he left Chelsea on 17 December 2015 during his second spell at Stamford Bridge. Following a 1-1 draw with Wolves, midfielder Pogba said he wanted United to be able to “attack, attack, attack” at home, which led Mourinho to say the France midfielder would no longer be the club’s “second captain”. After Mourinho, who signed a contract extension in January, was sacked Pogba tweeted: “Caption this,” with a knowing expression on his face, before deleting the social media post. 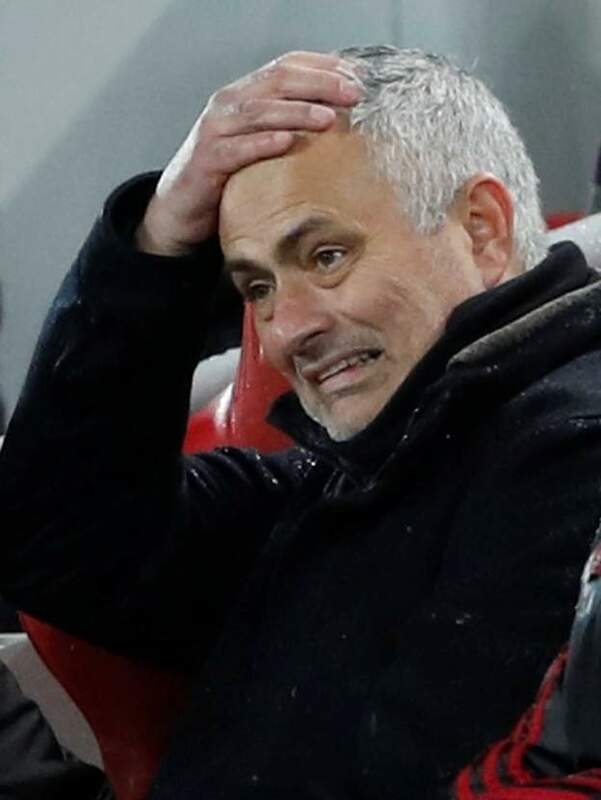 In October, there were reports that Mourinho might be sacked prior to the home game against Newcastle, but after the team trailed 2-0, they turned it around to win 3-2 and seemingly buy the former Chelsea, Inter Milan and Real Madrid boss more time. Mourinho’s agent Jorge Mendes attempted to calm the storm earlier in December by taking the extraordinary step of issuing a statement to say Mourinho was “very happy” and “fully committed” to the club. But despite reaching the Champions League last 16, where United will play Paris St-Germain, they have won just one of their past six games in the Premier League. Mourinho’s dismissal continues his run of never completing four consecutive seasons in charge of a club. Only once has he made it into a fourth campaign, but he left Chelsea on 17 December 2015 during his first spell at Stamford Bridge.